Choosing the best blog post titles for your blog, to rank better in search engine results can be a daunting task for many. We often don't give much importance to the post title, that plays a vital role in making out to the search engine results. The traffic through a particular blog post is determined by its search engine ranking. If our post lies on the first page of the search engines, only than we could expect a decent amount of organic traffic. To be more precise, people often click the first 3-4 links shown in the search results. So choosing the most optimized post title is very important. 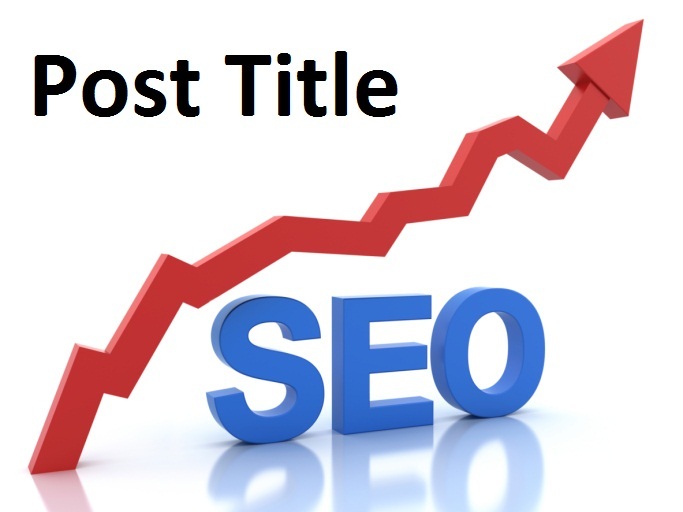 So lets consider few tips that could help us make the 'Best' post title that could fight among the heavy competition out there for each keyword. To write out the best title, its obvious that you should be clear about the subject that you are going to write in. Many people like to write the title after they have completed the post, so that they could cover out the entire idea within few golden words. In my case, i sketch out the post title (fully optimized) and make minor changes at the end, only if i feel like doing so. Its depends on you. Just make sure that you end up with something productive at the end that would have the attributes of the best blog post title, that we are going to mention later in the post. This proves to be most helpful. Anything that you wish to write upon is always (or in most cases) tried out by some other writer, in some similar way. Notice closely what you searched, and which post title's are making out the first 3 positions. Note down the keywords they have used with yourself. Now search those noted keywords in Google Keyword Tool. For an example, notice the title of this particular post. The main keyword that i focused on is "Blog Post Title". So that you may get to know about the relevant traffic for a keyword. Now you could decide among the 2-3 different keywords that you may had noticed in top queries in search engine results (that you noted earlier). Personally i don't carry out this part most of the time, as Google search results give enough of information to come up with great post titles that are fully search engine optimized (SEO). Now that you know what keywords to target in the post title, you can sum the entire idea in few words no more than 66 characters in an all. Google wont show up sentences comprising of more than 70 words. Make sure you consider that strongly! The shorter the post title, the better it is for SEO. People like to read short, but to the point information. Attributes Of 'Best' Blog Post Title? 6-Forces The Reader To Click (Example : " Why Your Blog Is Failing To Make Any Money? " makes the reader click the post, no matter what! It works like a charm and so i would suggest to you guys too. Hope to see your blog posts shining out in the search engine results. Do You Use Any Of These Tips For Spicing Up Your Blog Post Title?